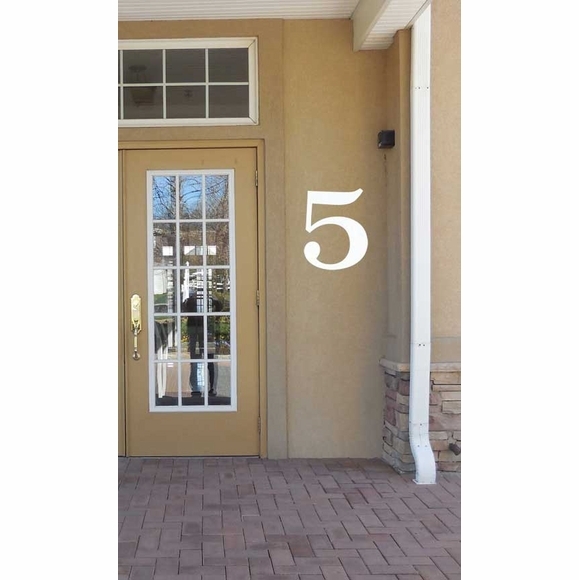 Large Reflective Address Numbers 10"
Large Individual Reflective Address Numbers 10" for Residential and Commercial Use - - . Custom made in the USA. The numbers are made from 1/16" (.0625) acrylic which means they are very thin and lack depth since their main purpose is to be reflective. If you are interested in thicker numbers, please do not order this product. Numbers can be arranged vertically, horizontally, diagonally, or any way you desire. Dimensions (approximate): the number 1 is 10"H x 3.75"W. All other numbers are 10"H x 6.75"W.
Our Reflective Address Numbers are made in America by skilled artisans to assure the highest quality.